One of the top considerations lawyers have about placing data into the cloud is ethics. Is it really okay to place confidential client information in the cloud where hackers can access the information if they break in? The short answer is yes it is ethical. One of the many advantages to having your data stored in the cloud is that hackers will have a harder time accessing it than if the data was stored on your local network. 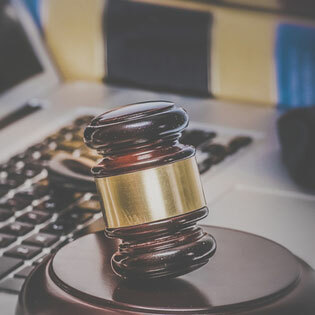 When it comes to the state law requirements of ethics, there is not a single state that has banned data on the cloud, according to the American Bar Association. There are several states that have not given a confirmation to the ideology, and several states have already approved the cloud’s use for lawyer’s firms. The general consensus is that as long as the managed service provider is reliable and there is a solid contract in place, then the lawyer is meeting all ethical expectations. Is there any training available? You need to find out if your current IT staff will be able to work with the cloud service. In many cases, the cloud service may allow you to minimize the number of IT personnel. Does the company have any lawyer firms as clients? What support options are available? This is a big one. You need to find out if the company will be available when you need them. Do they just work a 9 to 5 shift or are they available 24 hours and on weekends? Also, ask about guaranteed response times for service needs. Ask if the servers are stored locally within the United States. Some information, especially that which is stored in firms that handle acquisitions or mergers, needs to remain within the United Sates. Ask what happens to the data if you cancel your subscription. A good managed service provider will give you a certain amount of time to download all your data before the next billing cycle. It is a fact that having your data in the cloud can reduce the cost of your IT department. The main servers in the firm no longer need to be handled locally; the managed service provider takes care of it all for you. This alone reduces the cost of hardware and possibly personnel. Software upgrades and purchases may often be cheaper when in the cloud. The cloud service provider can order batches of licenses at a reduced cost. Updates are automatically installed as per the user agreement and require no down time or man-hours from your firm. Since most services are of the on-demand variety, your firm can order as many, or as little, as is needed depending on fluctuating times through your business life-cycle.